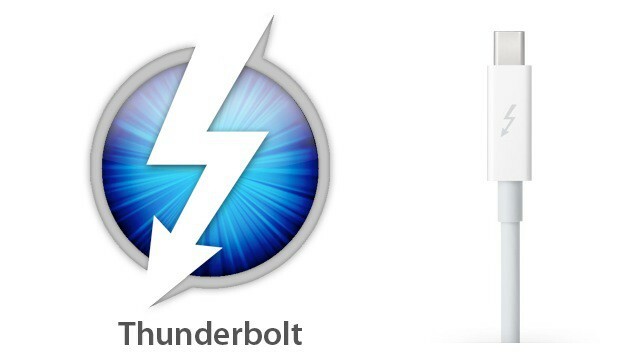 Thunderbolt really hasn’t taken off yet, even though Apple’s included the the tech in Macs since 2011. Intel is still plowing through with new updates for Thunderbolt though, and the company revealed some new details about the next generation of Thunderbolt. The addition of DisplayPort 1.2 support in Thunderbolt 2 enables video streaming to a single 4K video monitor or dual QHD monitors. Thunderbolt 1 users don’t need to get down in the dumps about any peripherals becoming obsolete though, as Intel says Thunderbolt 2 will be fully backwards compatible with Thunderbolt 1. Intel announced in April that it plans to build Thunderbolt 2 into future chipsets that will hit the market at the beginning of 2014.